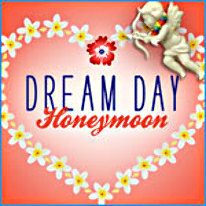 The dream continues in Dream Day Honeymoon! Travel through the tropics with Jenny "&" Robert as they search for the perfect souveniers to bring home from their Honeymoon. There is beauty and adventure around every corner, but beware of the Honeymoon Crisis that could turn Jenny "&" Robert's honeymoon into a travel disaster!